from the city of Famagusta. The name of region originates from one of the suburban settlements of Larnaca in southern Cyprus, where Turkish Cypriots have lived pre war of 1974. Iskele is famous for its unique beautiful sandy beaches, untouched nature, and attractive village in which there are two churches of historical significance. One of the churches named Panagia and was built in the 12th century. Iskele is famous for its pomegranates, which, according to legend were brought to the island by Aphrodite. Each year Iskele hosts vibrant festivals, which are visited and participated in by both local and foreign musicians, dancers, and performers. Each Friday traditional weekly bazaar is held in the village centre, where visitors can buy fresh fruit and vegetables, homemade products, sweets, olive oil, and plants. Iskele municipality is actively involved in the development of the region and two years ago a new road connecting Iskele and Famagusta was laid. Currently promenade is being constructed along the shore of Iskele. The first phase was completed with running and cycling tracks. Iskele is perfect place for those who love the endless sandy beaches, peace and quiet. 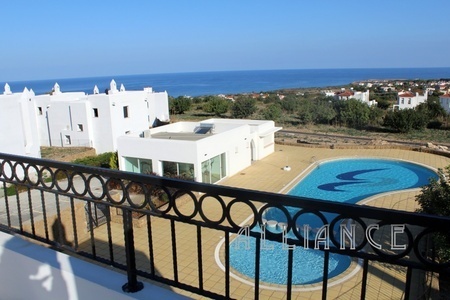 Beautiful coastal village Bogaz is located 25 kilometers from the city of Famagusta. Bogaz area is famous for its fish restaurants and sandy beaches beloved by sea turtles that lay their eggs here in the summer months. Not far from the village and harbour “Big Old Bazaar" is located which was built in traditional Cypriot style, perfectly fitting into the local architecture. Bogaz is one of those places in Northern Cyprus where the time seems to stand still and people live in almost the same routine as they have done decades ago. Kantara Castle was built in the tenth century, and in the twelfth castle was reconstructed Lusignan who were then ruling the island. Kantara takes its name from an Arabic word meaning bridge. The castle commands extensive views of the surrounding areas. The first historical mention of the castle goes back to the time of ruling Richard the Lionheart. Location of the castle on the steep cliffs makes it virtually inaccessible, and additional strengthening completely prevents the possibility of attack. Today Kantara is one of the most popular tourist destinations in Northern Cyprus. Thousands of foreign tourists visit the castle every year, and locals enjoy walks through the castle and green forests surrounding the castle. To find the right villa in Bogaz, click here. To the west of Kyrenia, and north of the highest mountain in Besparmak mountain chain Lapta is located, surrounded by unique natural beauty. Due to the excellent climate and abundance of water, Lapta has numerous gardens and citrus groves. This combination of Kyrenia mountains and blue waters the Mediterranean Sea, in addition to the wonderful green olive groves and fruit trees, makes Lapta unique region in Northern Cyprus. Lapta is located where once Lapethos used to be, one of the nine kingdoms ruling in Cyprus. Lapta’s natural beauty and favorable climate compel many European citizens to choose this place for a permanent residence or holiday destination in Cyprus. Property in Lapta is represented in a wide variety - from affordable apartments to luxury villas and houses, and developed infrastructure of the region provides everything needed for a comfortable stay. Moreover, more than 25 000 tourists choose Lapta’s hotels for holiday annually. Bafra is chiefly kilometers of sandy beaches that stretch along the Mediterranean coast, the waters of which are considered among the cleanest in Cyprus. In order to maintain the sustainable development of tourism in Northern Cyprus, the Turkish government, together with international businessmen created an investment project in Bafra, construction of 15 luzury hotel, which cost over $ 400 million. Two of the hotels, Kaya Artemis and Noah's Ark, have been already completed and are operating offering luxury holidays to tourists and locals alike. Construction is also planned for restaurants, shops, sport complexes, swimming pools and casinos to provide tourists all needed for a comfortable stay. Bafra district has the perfect combination of many advantages: a peaceful and tranquil living environment surrounded by the best beaches in Cyprus as well as the opportunity to visit the nearby historical sites and modern attractions, located just a few kilometers away. In connection with the status of Bafra as a tourist center, the construction of the resident real estate in the region is limited, except for a few exclusive residential complexes of apartments and villas, offering an excellent opportunity to own a beachfront property on the Mediterranean coast. 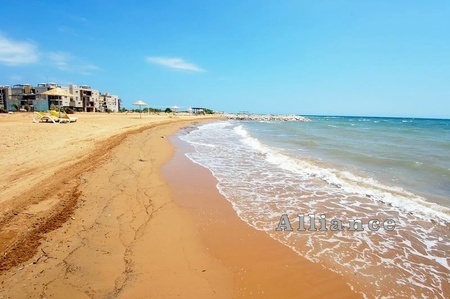 Find a beach property in Bafra. Settlement Karaoglanoglu is located 5 kilometers from Kyrenia. What previously been a small sleepy village is now turned into a sought-after suburb of Kyrenia. After the events of 1974, Ayyorgi was renamed in honor of Colonel Karaoglanoglu, who was one of the first Turkish soldiers landeding on the coast of Northern Cyprus. The settlement is famous for its lemon and olive groves. In recent years, due to the increasing popularity of the region from both locals and tourists alike, five-star hotels and restaurants were built along the coast. In the area there is a small church of St. Fanourios, which is located on the beach. According to legend, the church was built exactly on the spot where the saint had died, having slipped on the steep cliffs. Find a villa in Karaoglanoglu. There are also a great choice of Apartments in Karaoglanoglu. Alsancak, located 9 kilometers to the west of Kyrenia, already became one of the most beloved settlements in Northern Cyprus by foreigners. Alsancak has impressive mountains that serve as silent guardians over the village to protect it from rainy clouds. Below the mountains is the Mediterranean, which attracted travelers for centuries, luring them to the shores of Cyprus. Alsancak offers unrivaled scenery, rugged coastline, beautiful beaches and coves, shops, hotels, resorts, casinos, restaurants located along the coastline. Alsancak, the old name of which is Karavas, has several sandy beaches, the most famous of which is Escape. The beach is clean and well protected, making it ideal for children. It also offers visitors a variety of water sports such as windsurfing, parasailing and more. Browse our database for Alsancak Villas and Alsancak Apartements. The first mention of the village Karsiyaka was found in the Ottoman archives, dating from 1248. According to the records, Karsiyaka was one of the 44 regions of Cyprus. Karsiyaka, also known under the old name of Vasili is located to the west of Kyrenia, twenty kilometers from the tourist center. Over the centuries, the most important source of income for the village were lemon groves and carob trees. Karsiyaka benefits from incredible scenery: green mountains, olive groves and citrus trees, blue waters of the Mediterranean. Most of Karsiyaka’s coast is rocky, although there are a few bays and sandy beaches which can be enjoyed. Sea turtles chose one of these beaches, Guzelyali, as a place for laying eggs. Due to the new bypass road built recently, Karsiyaka can be reached from Kyrenia in 15 minutes. Many foreigners choose Karsiyaka as a place for permanent residence that offers quiet and beautiful scenery, a developed infrastructure, and affordable property offers. Korucam is a Maronite settlement in Northern Cyprus, located in the northwest of the island. Maronites are Catholic Christians of Arab origin who settled in Cyprus 1200 years ago, after moving from to the island from Lebanon. They still speak their native language, a dialect of Arabic, mixing Arabic with the words of Greek and Turkish origin. Settlement Korucam is a small picturesque village overlooking the emerald waters of the Mediterranean Sea, situated in the midst of green forests to the west of Kyrenia; about an hour's drive from the city. The region is rich with plants and flowers, as well as citrus orchards. Visitors of Korucam can experience the unique combination of both Maronite and Cypriot cultures intervened into one. Name of the settlement comes from Cowra, a town in Lebanon, where the Maronites came from. Cypriot Maronites still retain their customs and habits, have their "mukhtar" - community leader. In the center of the settlement impressive Catholic church is located. The Maronite Church is one of the largest, representing the Roman Catholic faith. Muslim caliphate (632-1258) during his ruling could not demise the Maronite faith. During Ottoman rule Maronites maintained their religion and habits under the protection of France, primarily due to geographic isolation on the island. Starting from the 20s, after the collapse of the Ottoman Empire, the Maronites have switched to full self-government, while remaining under French protection, and since 1943, when Lebanon gained full independence, Maronites became one of the two main religious groups in Cyprus. Unusual history of the Maronite village in North Cyprus and preserved traditions of the culture, architectural heritage of Korucam as well as hospitality and national cuisine in the restaurants attracts many tourists to see the people and its unique preserved settlement.